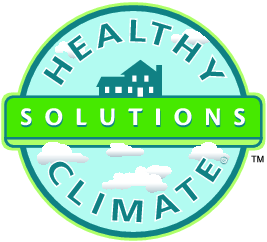 It’s not hard to take steps toward improving your indoor air quality. And you’d be shocked if you found out how many pollutants, allergens and bacteria are still floating throughout your home’s air, even after it’s been through your furnace filter. Did you know that the air inside your home is 2-5 times more polluted than the air you breathe outside? These pollutants can be a key contributor to asthma, allergies, and other health related issues. Sure, traditional air filters keep some things from permeating your home’s air, but they can’t stop everything. Also, a lot of people don’t realize that our furniture, carpeting and even drapes are exuding gases and fumes steadily that aren’t captured by regular air filters. When you think about how much time we spend in our homes, awake or asleep, don’t you want that air to be of the highest quality? For Toshack in the Cornwall, Kingston, Smiths Falls and Brockville areas, ventilation is the tip of the iceberg. There are a wide variety of indoor air quality products that can meet and exceed your needs, ensuring your home has the healthiest air possible. Whether you’d like to target one individual indoor air quality problem or take advantage of all the benefits that an entire air quality system offers, give Toshack a buzz at 1-888-547-6162 or at 613-342-9381. Or arrange a free consultation through our online scheduler and we’d be happy to meet with you to discuss your home’s air quality and find the best solution for you and your family.